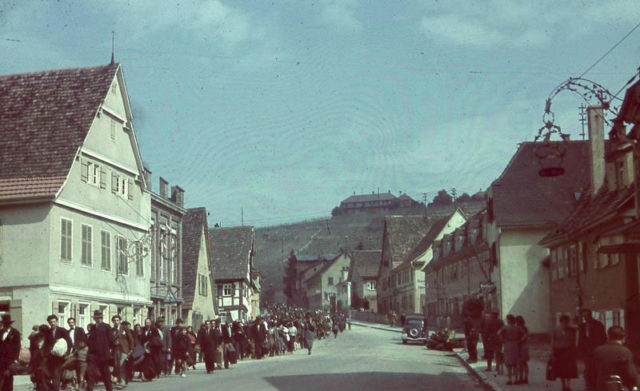 Left: Romani civilians in Asperg, Germany are rounded up for deportation by German authorities on 22 May 1940. Photo Credit. Left: Two Roma kids, photo taken on 6th April 1944. Photo Credit. 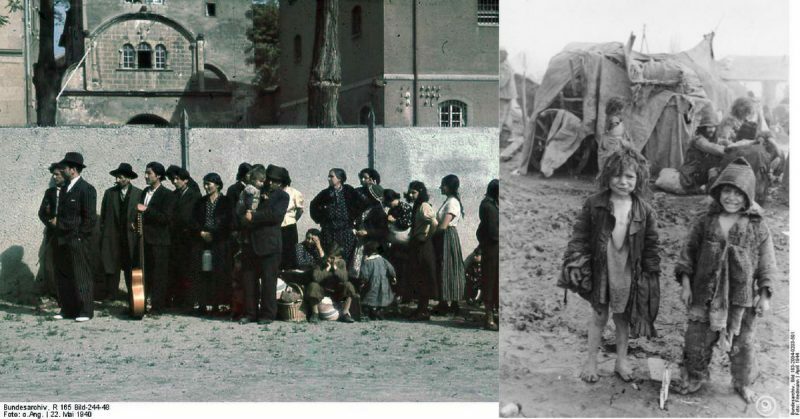 Before Hitler targeted and mass slaughtered the Jews in what historically went down as the Holocaust, the Third Reich first victimized the Gypsies – the Roma and the Sinti – living in Germany and Austria. Hitler’s obsession with the idea of the Aryan racial purity made him see the Jews as an inferior race that needed to be exterminated. But before the Fuehrer set his sight on the extermination of European Jewry, he first ordered the research, investigation, round-up, deportation and mass killings of the Gypsies living within Germany and Austria. Asperg. In a daylight, Roma are being deported. Most of them will go to German death camps. Photo Credit. Social discrimination and ostracism have long plagued the Gypsies even before the rise of the Third Reich. But it was in Hitler’s Germany that their situation became perilous because of the Fuehrer’s obsession with racial purity in Germany. Romani woman with German police officer and Nazi psychologist Dr. Robert Ritter. Photo Credit. 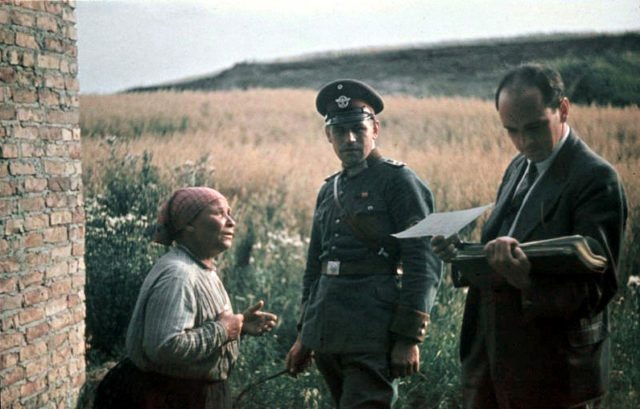 When Hitler came into position, he commissioned Dr. Robert Ritter, Dr. Sophie Ehrhardt and a nurse named Eva Justin to do an extensive pseudo-scientific investigation on the lineage of both the Roma and Sinti communities. The result of this said research came out in 1940, the verdict grim. Ritter concluded that 90% of the Gypsies residing in Germany were of mixed blood, “the products of matings with the German criminal asocial subproletariat”. In the light of this finding, anyone with a drop of Gypsy blood running in his veins was considered an alien, unfit for the society and susceptible to being criminals and lawbreakers. 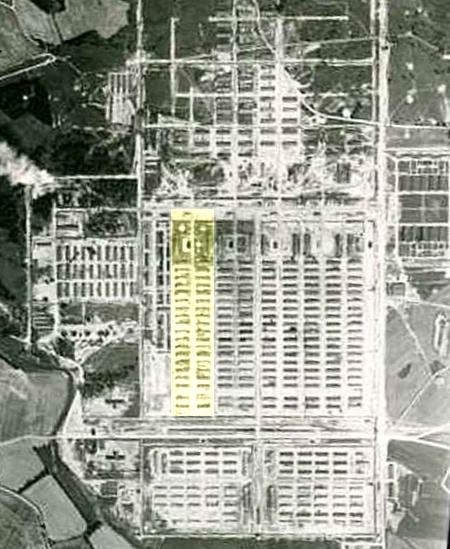 German death camp. “Roma camp” is marked on yellow. Photo taken in 1944 by RAF. It was this research that SS Heinrich Himmler cited when he made his circular on Combating the Gypsy Nuisance on December 8, 1938. He went on to recommend “the resolution of the Gypsy question based on its essentially racial nature” resulting to the registration of all Gypsies who were Reich residents and who were six years old and above. Furthermore, those registered were classified within these three categories: Gypsies, Gypsy Mischlinge [part-Gypsies], and nomadic persons behaving as Gypsies. Himmler defended his actions by saying that to “protect the homogeneity of the German nation, the separation of Gypsydom was very necessary”. The Third Reich went on to built concentration camps for the Gypsies. The Romas and the Sintis, specifically, were sent to these camps and were subjected to forced labor, medical experimentation and extermination. The persecution of the Roma and Sinti was extended to the rest of Europe, during WW II. Many Nazi puppet regimes cooperated with the German persecution and killing of Gypsies. Roma family in Zagreb, the capital of the formally independent state of Croatia was under German and Italian protectorate. Photograph taken in 1941. Photo Credit. 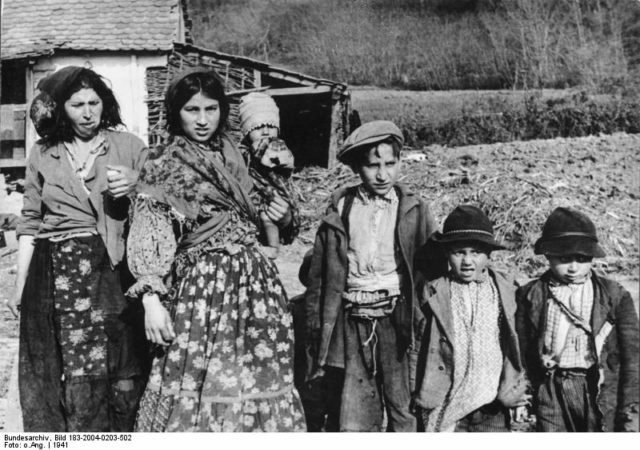 Historians estimate that the Nazi regime, along with its allies, was responsible for the death of about 25% of the European Roma alone, possibly about 220,000 Gypsies, died because of the Nazi policies.